Barack Obama’s inauguration is dedicated to the proposition that all presidencies are not created equal. In ways big and small, Obama is trying to summon Abraham Lincoln’s spirit to the proceedings. Obama will roll into Washington’s Union Station today by train, duplicating part of Lincoln’s railroad journey from Illinois for his swearing in. The president-elect is to appear at a concert tomorrow at the Lincoln Memorial, and will take the oath of office Tuesday with one hand on the Bible that Lincoln used in 1861. Inaugural planners drew so many ties between the Illinois legislators-turned-presidents that Obama may risk straining the comparison. For most of the 144 years since Lincoln’s death, presidents of all political persuasions have tried to enlist Lincoln’s reputation for honesty and courage in support of their own ambitions. 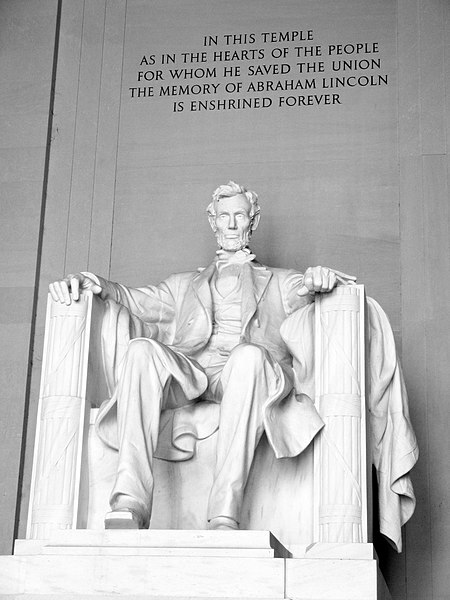 Leaders “see in Lincoln’s suffering validation of the criticism they have to endure,” Holzer says. Still, the election of America’s first black president, from the same state as the leader who issued the Emancipation Proclamation, gives Obama a stronger claim than most predecessors to Lincoln’s legacy, says Tom Schwartz, a historian at the Abraham Lincoln Presidential Library in Springfield, Illinois. Obama will be sworn in at noon on Jan. 20, just three weeks before the bicentennial of Lincoln’s birth on Feb. 12, 1809, an anniversary to be accompanied by museum exhibits, ceremonies, and new books planned long before Obama’s victory. “There’s a serendipity to it,” Schwartz says. Obama’s childhood, as the son of a single mother who sometimes relied on food stamps, is a modern analogue of Lincoln’s log-cabin upbringing. Both presidents studied law and bested better-known U.S. senators from New York for their parties’ presidential nominations. Each man rocketed from relative obscurity on the strength of oratory, in Obama’s 2004 Democratic National Convention keynote address and Lincoln’s 1860 anti-slavery speech at New York’s Cooper Union. A week after moving his family to temporary quarters in a Washington hotel, Obama took his wife and two daughters for a moon-bathed visit to the Lincoln Memorial, where a 19-foot-tall statue of the first Republican president looks down on the National Mall where throngs of visitors will watch Obama’s inaugural address. The four-day inauguration schedule starts this morning in Philadelphia, where Obama boards a train to trace the last segments of Lincoln’s route, stopping in Wilmington, Delaware, to pick up Vice President-elect Joe Biden. “The inaugural train may turn out to be one gilding of the lily,” Holzer says, noting that the Obamas came to the capital two weeks ago. “Backtracking north to come south may be bit of an artifice.” Obama also plans a public event in Baltimore, which Lincoln slipped through in disguise, under cover of darkness, after learning about an assassination plot there. The 44th president will be sworn in with an 1853 printing of the Bible, bound in burgundy velvet, purchased for Lincoln’s first inauguration in 1861. After his speech, Obama will join members of Congress in the Capitol’s Statuary Hall for lunch, served on china that duplicates the dishware first lady Mary Todd Lincoln picked for the White House. Obama announced his candidacy on the steps of old state capitol building in Springfield, noting that he and Lincoln both served in the state legislature. In May, as he was pulling away from New York Senator Hillary Clinton in the fight for the Democratic nomination, Obama suggested that — like Lincoln –he would consider stocking his Cabinet with former rivals.